What would it take to bring community map-making tools to Overwatch? The Overwatch community are a creative bunch. The exceptional artwork of someone like Joshua Llorente, who imagines new Overwatch maps, does more than simply showcase some serious talent, however – it brings to mind the sort of fantastic, fan-made content that has elevated games for decades. 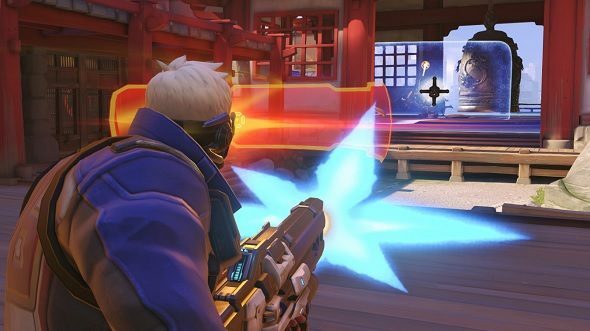 Overwatch is hardly short on maps, bringing out new locations every few months – often following tried-and-tested patterns of choke points and arenas. PC gaming in particular has a rich history of community talent finding new ways to shake up a game’s mechanics through map design – sometimes even creating entire new genres. It begs a question: what would it take to bring mapmaking opportunities to Overwatch? With community-made maps, Overwatch could finally get those sillier maps and modes it needs to break up the serious competition. In the days of Half-Life and Unreal Tournament, worlds were constructed with arrangements of simple shapes, plastered with flat images. 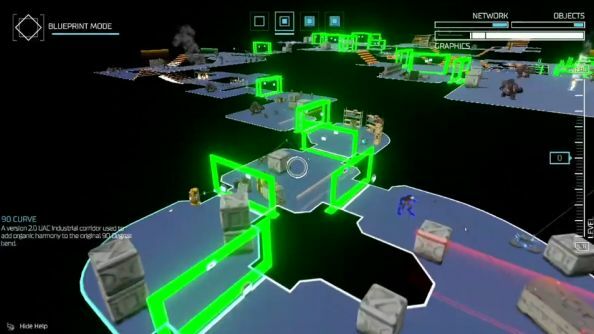 As cuboid rooms and hallways were so frequently used, it is no surprise that the term ‘corridor-shooter’ became synonymous with many games from this era. 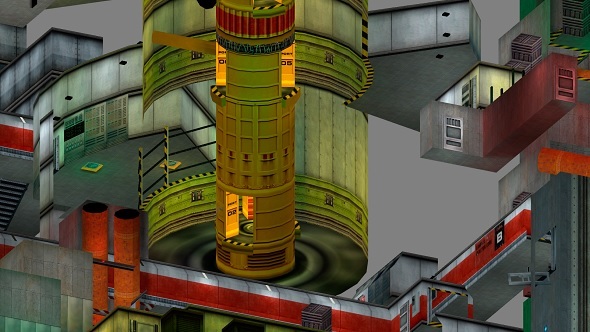 That simplicity meant that it was relatively easy for players to create their own maps, the vast library of 3D models and props made and used by the developers for each game allowing anyone to dip in and construct their own virtual spaces. Nowadays, however, everything is bespoke and a lot more complex – 3D models are made from scratch and often for a specific, singular use, rather than simply being remixed on the fly as mere stage setting. While Blizzard do initially construct Overwatch maps with the reliable technique of prototyping layouts with blocks of coloured geometry, final levels are built up from individually-modelled assets created expressly for one section of a map. Each new map Blizzard creates is done so from a fresh start, requiring a whole new set of models and textures. A fan-made Overwatch map would have to go through a similar process – which takes hours and requires no small amount of talent – in order for it to fit in alongside the official roster of maps. Not only is visual consistency a factor, but game mode considerations drastically shape the scope of levels in the case of Overwatch. Payload maps are pretty sizeable beasts, and Control requires threefully-designed arenas to work properly. That does not mean a workaround couldn’t be found, though. Id Software attempted to overcome this technical hurdle in their 2016 incarnation of Doom with SnapMap – a map-making tool meant to evoke the modding scene of id’s past, but which is much more limited in what it allows players to create. Levels in SnapMap use a tileset of pre-constructed rooms, and while some creators have managed to squeeze out some novel ideas, the scene has not escaped the samey nature the SnapMap tiles enforced. We have also seen examples of mod teams turned development studios like Periscope Games working on a smaller scale, but recognising the value of supporting customisation. Leveraging the simple-to-use scripting built into the Unreal Engine and restricting access to source code, Periscope follow in the footsteps of modding giants by simply giving content creators the same tools as developers. Blizzard would have to find a way around these technical hurdles if they were to allow anyone to create maps for Overwatch, but there is precedent for pushing community work to the forefront. Valve have done so for years – most notably in Counter-Strike: Global Offensive through Operations. With this DLC, Valve highlight a handful of the most promising fan creations – maps, modes, and otherwise – incentivising players to check them out through events and rewards. Overwatch could benefit hugely from such an effort, but the hurdle is that it is a lot easier to create maps in the ageing Source Engine than it is for the brand new engine made specifically for Overwatch – as Blizzard have stated previously. With all this in mind, it is worth imagining what a potential Overwatch map editor would look like. Unfortunately, it may end up being locked down by identikit tiles or segments like Doom’s SnapMap as developing a more comprehensive kit would require a monumental amount of work. Models and textures would need to be altered for more general use for starters. 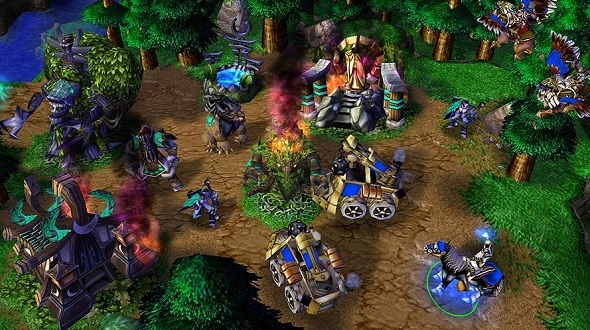 But Blizzard are not strangers to giving modders toys to play with: Warcraft 3 took strategy games in bold new directions, and the community drove that further by giving us the MOBA genre. StarCraft II continues to be a hotspot of new maps made for competitive play by its dedicated community, and a free-for-all arcade even allows strategy game novices an opportunity to play the title’s more out-there maps and modes. Overwatch has opened up since launch. With Casual, Competitive, Arcade, and Custom servers now available in 2018, there are more ways to play the team-based shooter than ever. But by embracing a time-honoured tradition, Blizzard could take Overwatch to the next level, giving its most dedicated players a more hands-on chance to shape the game’s future. Not to mention that giving the community access to map-making tools could fill in the long gaps between official map releases – creating new classics, and possibly unearthing fresh possibilities within the countless movement mechanics of Overwatch. But more than anything, it would show that Blizzard are committed to encouraging the next generation of great mapmakers – from who the next gaming phenomenon will undoubtedly spawn.